Before you start looking, establish your property requirements. Consider things such as the number of bedrooms, bathrooms, furnished or unfurnished, outdoor space and parking that you will require. Have a walk around the area to check out the local amenities, consider a trial run using public transport if you commute to work. Think about the location you’d like to live in, consider your ‘must have’ list- what do you really want? What’s your budget? Would you pay more for the right property? How long do you need the accommodation for? Is it a stop gap or a long term solution? When would you like to move in? Work backwards and start your search around six to eight weeks before this. Affordability: It is important to think about what you can afford to spend each month renting a property. Take into account other monthly costs including council tax, utility bills and travel costs in order to determine how much you can afford to spend on rent each month. Most letting agents calculate affordability from your annual salary. There are other ways to secure a property such as using a guarantor or paying the rent in advance. Register with us: Once we have received your initial enquiry we will match your requirements to suitable properties, keeping you updated via phone and email. Our website is updated throughout the day and all our properties also appear on Rightmove and Zoopla. Viewings: We complete accompanied viewings with you and when viewing properties we recommend you take notes so you can compare this with other properties that you have seen. Offers: Once you have chosen a property we will negotiate the tenancy terms between yourself and the landlord, taking into consideration any requirements you may have. Tenancy agreements are for a minimum of six months: Terms available for between 6 to 12 months. We require a deposit and the first months rent 24 hours before commencement of your tenancy. All tenants must be over 18 years of age. All tenancies do not include any utility bills, council tax, telephone and TV licence charges. Properties are taken on an ‘as seen’ basis unless negotiated and stated in the ‘special conditions’ section of our Admin & Referencing Fee Receipt & Agreed Terms form. Applicants will arrange insurance to protect their contents and liability for damage to the landlord’s property. Once the terms have been agreed to secure the property you are then required to pay the application fee (as detailed in our fees sections below) by bank transfer and sign our Admin & Referencing Fee Receipt & Agreed Terms form (within 48hrs of payment of your application fee). This application fee shows your commitment to proceeding with the property and we will then take the property off market. This fee also covers the costs of referencing checks, preparing all the tenancy documents, protection and registering of the deposit plus check in appointment. In some cases a guarantor may be needed, we will be able to advise you of this at the time of negotiating your tenancy terms. If a guarantor is not possible the landlord may require the rent to be paid in advance on commencement of tenancy. Photographic ID and proof of your current address. Non EU residents will need to provide a copy of your visa. Landlord details for any property rented in the last three years – a current landlords reference will be required. Confirmation of earnings per year that are at least equal to the yearly rent multiplied by 2.5 or 3 for a guarantor. Employment contracts are required to be on a permanent basis, otherwise a guarantor may be required. No adverse credit in the form of a county court judgment, bankruptcy order or similar. If you’re self-employed, either an accountants reference or to provide evidence of the last three years tax return. Evidence of contents insurance (if you haven’t taken it out via us). The responsibility for your belongings are down to you, you must ensure you have adequate contents insurance, the landlord accepts no responsibility and cannot be held responsible for any loss or damage to tenants possessions. PLEASE NOTE THAT SHOULD YOU DECIDE TO WITHDRAW YOUR APPLICATION AND/OR FAIL THE REFERENCING CHECKS THEN THE APPLICATION FEE IS NON REFUNDABLE. Once references have all been approved we will email you advance copies of all the tenancy documentation so that you can read these in advance of signing them in our office on the day of your move in. The tenancy agreement will need to be signed by all parties and the first months rent plus deposit will be required in our account 24hrs before your move in date. Deposit amount required is normally calculated as x 5 weeks rent. This is then registered and held with the an approved deposit protection scheme. Rental payments are always made by monthly standing order from the tenants’ bank account to our client account, with the exception of Let Only properties, whereby ongoing rental payments are made direct to the landlord. Your rent due date is the monthly date in which your tenancy started. We will arrange for The Tenant Shop to discuss with you regarding the utilities and services that you require at the property. One set of keys/fobs will be handed over for each tenant named on the tenancy agreement. Only those named on the tenancy agreement are allowed to live at the property. Interested in renting a property? Let our dedicated team help! Both the Landlord and tenant will be required to sign a tenancy agreement prior to the tenancy commencing, the agreement outlines both tenant and landlord obligations. Most tenancies are for a period of between six to twelve months and we will contact you 2 months before the end of the tenancy (or you are free to contact us first) to see whether you wish to renew your tenancy. We will then liaise between yourself and landlord to agree on the terms plus organise the documentation. The renewal fee as listed below is the cost of preparing a new tenancy agreement and negotiating with your landlord for a further fixed term tenancy. Extending your tenancy gives an assurance of staying in the property for a further fixed period, at the rent agreed and avoids the uncertainty of a landlord serving notice at any given time. When you move into a property we will advise you if its ‘fully managed’ or ‘let only’ – the majority of our properties are fully managed. With a let only property the landlord manages their own tenancy and you will have been given the information required to contact the landlord directly via phone or email. With ‘fully managed’ properties any faults with appliances or problems within the property will need to be reported to us and we will deal with the problem as quickly and efficiently as possible. Failure to report an ongoing problem may turn the onus onto you and you may then be liable for some of the damage, for example a water leak. In the case of an emergency, no notice for access needs to be provided by the landlord or agent and either they or an appointed contractor can attend. Routine maintenance such as replacement bulbs, fuses, smoke alarm batteries and dealing with blocked sinks and keeping bathroom sealant clean are the tenants responsibility. Please report any problems you feel need attention via our email address and with photos if possible. Our contractors will then contact you direct to arrange access to the property but if you agree we can provide them with our set of keys. You do not have the right to withhold payment due to disrepair. There are many causes of damp and condensation. If this is due to a fault with the property this will be fixed at the landlord’s expense. In other cases damp and condensation may be caused by the actions of the people living in the property such as drying washing in rooms with no windows open, failing to heat a property adequately and blocking air vents. The cost of these repairs will come be charged to the tenant if damage is caused through carelessness. Initially please report a problem with damp and/or condensation to us so we can assess the likely cause. These issues will worsen over time if the cause is not resolved, which can lead to repairs being more costly. To terminate your tenancy subject to the term of your tenancy agreement, you will normally be required to give us at least one month notice via email of your intention to leave, unless otherwise specified in your tenancy agreement. The property may be placed on the market and we or our agents will be in contact to arrange accompanied viewings for prospective new tenants – we will provide at least 24hrs notice to you before any viewings take place. Please ensure the property is clean and tidy when viewings are to take place. You are required to return all the keys/fobs to our office on or before your checkout date. We will then check the condition of the property and email you a checkout inspection report, with the deposit return usually being completed within 10 working days. Cancel your standing order after the final months rent has been paid as your bank will only take instruction from yourself to cancel a standing order. 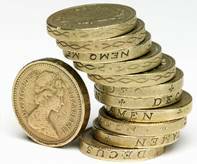 If over payment of rent is paid there is a £25 handling fee to return the money. 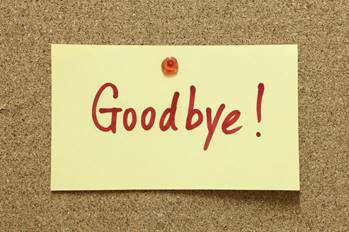 Advise all utility companies and the local authority (council tax) that you are vacating and to close your account. DO NOT DISCONNECT THE SUPPLY only close your account. They will usually require your forwarding address in order to send you a final bill. If they request the new tenants details, please advise the following – Your landlords name, C/O The Estate Agent Manchester, Peter House, Oxford Street, Manchester M1 5AN. We will require your forwarding address. If you have a burglar alarm please confirm the alarm code to us via email. Obtain final meter readings – please also provide us with these readings. Check your inventory so all fixtures, fittings and furniture are in the property. Ensure all furniture is in its original place as when the tenancy first commenced. Put in place a mail forwarding service (check with Royal Mail) or advise all banks/agencies etc. of your new address. We are unable to forward any post you receive to your new address. Make sure you have all keys and fobs. Replace if lost. 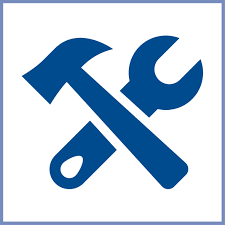 Inform us of any maintenance issues within the property. Ensure all instruction manuals are left in the property. Remove ALL personal possessions (this includes cutlery and crockery) unless you have written permission from us to leave an item in the property. Clean the property to a professional standard. This should not only include main domestic appliances such as oven and washing machine but also all other features of the property such as extractor units, skirting boards and carpets. Ensure the freezer is defrosted and clean. Remove ALL waste such as food, bin bags and boxes. Check out means the tenancy has ended, therefore, you will not be permitted to return to the property after the check out. Please refer to your tenancy agreement for any further tenancy requirement. Issues with unsatisfactory cleaning is the most common deduction from a tenants deposit, so if you prefer we can recommend a cleaner and should there be any issues following a checkout inspection they will resolve this for free. Please ask us for details. When you sign a tenancy agreement this is a legally binding contract for a set length of time, which is normally between 6 to 12 months. For that period you are responsible for rent payments (and utilities), regardless of whether you have a change in circumstances and wish to move out early. However, sometimes things happen and in this situation, with the landlord’s agreement, a property can be re-advertised early for rental. If this is the case, then the current tenant will cease to be responsible for the rent once the new tenant moves into the property and a new lease commences. This is to avoid there being any loss to the landlord. If a suitable new tenant cannot be found, you will remain responsible for paying the rent and utilities until the tenancy expires. In other words, the period of “notice” depends on how quickly a new tenant can be found—and on the landlord’s agreement for the contract to be terminated before its end. The tenant will also normally be responsible for paying the landlord’s marketing fees to ensure that the landlord does not face any unfair charges due to a tenant’s decision to leave. The Tenant Shop will contact you in order to arrange the set up of the utilities but it’s the tenants responsibility to confirm with the utility companies that they have registered their details following commencement of the tenancy and to pay council tax and TV licence. Students who may be exempt from council tax are responsible for informing the local authority. Where possible make a one-off payment to clear the arrears in full. If you are having difficulties in making the full payment, please contact us so we can discuss a repayment plan to clear the arrears within a reasonable time. If you continually fail to keep to the repayment plan you may end up being evicted from your home. Remember we are here to help so please contact us as soon as you are experiencing difficulties. If you do not work with us to reduce the arrears we will serve a notice. This is the first stage of legal proceedings, which may result in you being evicted from your home. If you continually fail to keep to a payment plan to clear the arrears you may end up being evicted from your home. If the matter is referred to court you will be responsible for paying all court costs which are currently several hundred pounds. You will also have a County Court Judgement registered against you. We normally complete half yearly inspections to assess the condition of the property and check that everything is being kept in a satisfactory condition. We will always advise you in advance of our visit via email and provide a time window of morning or afternoon. 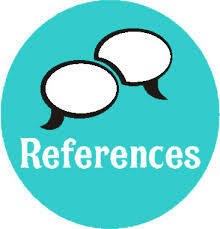 Application & referencing fees: £250.00 for one applicant and £125.00 for each additional applicant. Referencing a tenant which includes identity, immigration and visa confirmation, financial credit checks, obtaining references from current/previous employers and landlords plus any other relevant information to assess affordability, contract negotiation and check in appointment. Referencing a guarantor which includes identity confirmation, financial credit checks, obtaining references from current/previous employers and landlords plus any other relevant information to assess affordability, completion of a Deed of Guarantor. Referencing a company which includes identity, immigration and visa confirmation, financial credit checks, obtaining references from current/previous landlords and accountants report plus any other relevant information to assess affordability, contract negotiation and check in appointment. Contract negotiation, amending and updating terms and drawing up a new tenancy agreement. Completing identity, immigration and visa confirmation, adding to the tenancy agreement but explaining to permitted occupiers their limited rights, providing any additional keys or door fobs. Contract negotiation, amending terms and updating your tenancy agreement during your tenancy, completion of new referencing a tenant which includes identity, immigration and visa confirmation, financial credit checks, obtaining references from current/previous employers and landlords plus any other relevant information to assess affordability. 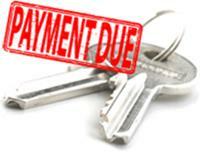 Chasing for rental payment including telephone calls, emails, letters and notices issued. Checking account for over payment, returning payments and includes bank charges. Sending funds to any non-UK account. Time lost travelling to and from property plus petrol and re-arranging a new appointment.